There are affiliate links in this post, read more at the bottom. Alex loves History. Currently, he is intrigued with American History. One of our favorite things about homeschooling is the freedom that it provides us, one of these freedoms is deciding what topics we want to learn about. I believe in following my children’s interests in our home learning so this year (and maybe next) our family will be discovering and learning American History together. I have divided American History in segments and will plan them out segment by segment – that is about as far out as I can plan! I will share the topics and resources that we use to chronicle our learning and maybe to serve as a resource for other families studying American History, as always, if you have an idea to add please share in the comments! We have started our American History learning journey this year with Colonial America. We previously completed a very thorough study of the early explorers, first settlements including Jamestown and felt it unnecessary to revisit these topics. The following information includes the resources that we used while learning about American History during colonial times and the timeline that we (hopefully) will follow. A History Of US: Making Thirteen Colonies : This is a series of books that we plan to use as the spine of our American History learning. 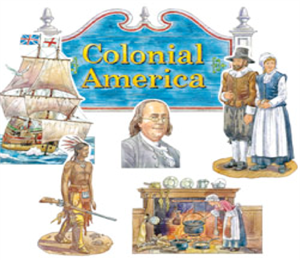 A History Of US: Making Thirteen Colonies Binder Builder (Journey Through Learning) : I will pick and choose pieces of this that I feel my children will enjoy – we will not be completing the entire binder builder. America The Story of Us DVD (History Channel) : I scored this for free a few years ago (It’s currently on Netflix!) and am happy to finally unwrap it, I knew that I would use it one day! History Pockets: Life In Plymouth Colony : My kids love working on History Pockets. Some call it busy work, my kids call it fun! Benjamin Franklin lapbook (Homeschool Share FREE) : yes, we love lapbooks! American Adventures book series : I stumbled upon these books in a homeschool forum and although we are secular in our home learning I just couldn’t resist these books. 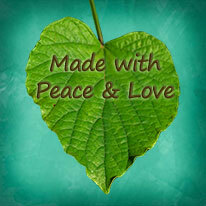 It is a series that follows several generations of the same family from the Mayflower to WW II. Life In Colonial America coloring book : who doesn’t love coloring?!? We learn through reading so we will be checking out LOTS of library books! I will create a (growing) list at the bottom of this post sharing the MANY library books that we read. What did Pilgrims Give Us? Work on Benjamin Franklin lapbook. This is a loose outline, divided into weeks. This seems extremely structured for me (I am not used to being so structured) but I feel that it is needed so that we can cover American History and *hopefully* not miss too many moments in history! This post contains affiliate links, I appreciate your support by purchasing via the links! I love this resource. We will be starting colonial life in the next week or two, and I will be referencing this. I would love if you would link up your subject-specific posts at Bookshelf, a permanent subject-specific linkup resource.